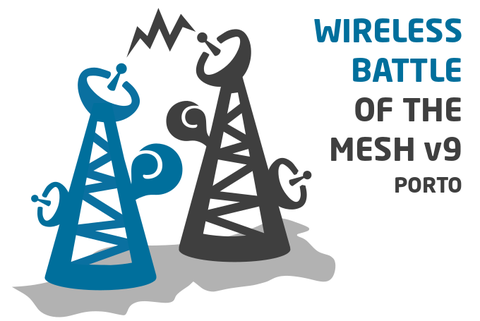 The "Wireless Battle of the Mesh" is an event that aims to bring together people from across the globe to test the performance of different routing protocols for ad-hoc networks, like Babel, B.A.T.M.A.N, BMX, OLSR, and 802.11s. Many developers and community networkers will join the event to hack, test, discuss, explain and learn. If you are interested in dynamic routing protocols or wireless community networks you can't miss this event! The "Wireless Battle of the Mesh" is an event that brings together people from across the globe to test the performance of different routing protocols for ad-hoc networks, like Babel, B.A.T.M.A.N., BMX, 802.11s, and OLSR (which is what we use here at WasabiNet) . Many developers and community networkers will join the event to hack, test, discuss, explain and learn. If you are interested in dynamic routing protocols or wireless community networks you can't miss this event! Read more about WasabiNet Endorses BattleMesh 7! Collectives are also changing the way St. Louis connects. Spaces like Arch Reactor and Saint Louis Coworking — and networks like WasabiNet, which runs mesh Wi-Fi in the vicinity of Cherokee Street—now provide St. Louisans with low-cost ways to share ideas.